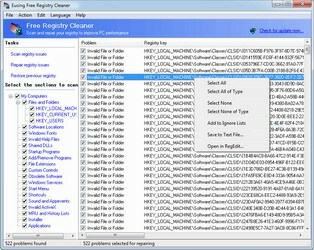 Eusing Free Registry Cleaner is a free registry repair software that allows you to safely clean and repair registry problems with a few simple mouse clicks. After scanning and fixing the invalid entries, your system will be more stable and run faster. For maximum safety, Eusing Free Registry Cleaner will make a backup of the repaired entries. You will be able to restore any changes made using the software by choosing Restore registry backup. Hide windows program completely through a hotkey or as an icon in system tray. Hide some less used icons from tray. Arrange the windows on taskbar based on your choice. Automatically maximize all new windows or only new IE windows. A free and easy-to-use CD ripper software allows you to rip audio CDs and convert to MP3, Wav, Ogg or Wma format. You can also normalize the output files. The program also supports additional LAME options. Record to MP3 with your microphone. As you work on your computer and browse the Internet, you leave behind traces of your activity. With a simple click, Free Internet Window Washer securely erases Internet tracks, computer activities, and program histories. It also improves PC performance. Shell enhancement to jump quickly to your favorite folders from within common Open/Save dialogs, in Windows Explorer, the desktop, and the Start button. It runs automatically as part of the Windows Explorer context menu and is also a right-click image viewer. Resize your programs automatically, such as maximize, minimize, normal, minimize to tray, stay on top; set the transparency of application windows. Free WMA MP3 Converter helps you convert WMA to MP3, MP3 to WMA, WAV to MP3, WAV to WMA, MP3 to WAV, WMA to WAV etc. All the conversion process are fast and simple with adjustable output quality. Eusing Free Registry Defrag is a free registry defragmentation software. 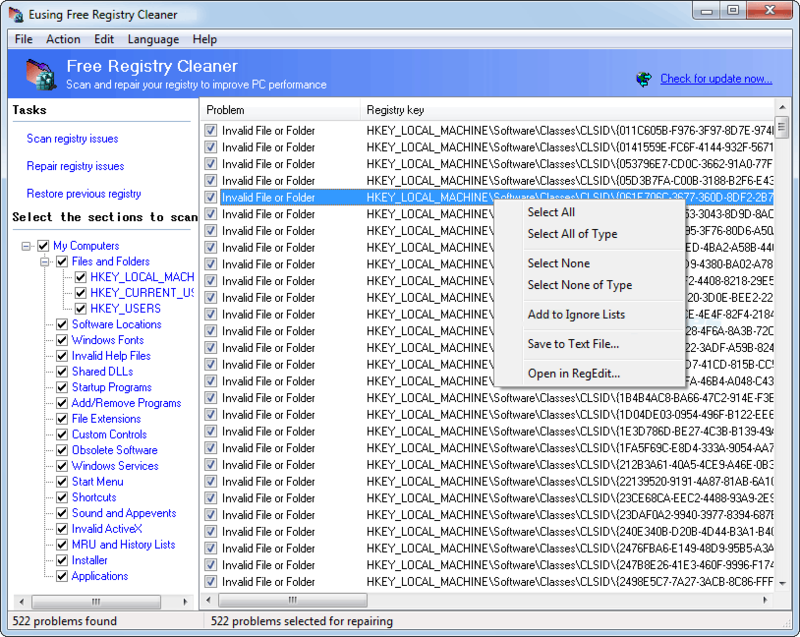 It will enhance your system's performance by removing gaps, fragments and wasted space in Windows registry files. Eusing Launcher organizes all the desktop icons, allowing you to quickly find any desired icon. You can access any program or Windows feature in the shortest time possible and with great ease. Eusing Free Video Converter can convert video files between many formats with ease. The output video files can be used on devices such as iPad, iPod, iPhone, PSP, MP4 player, mobile phone, Zune, etc. Eusing Free MP3 Cutter is a simple utility that allows you to cut out pieces of an audio file (MP3, WAV, WMA). In a few clicks, you can select a part of a song and save the selection in a separate audio file. It also builds audio joiner and mixer. Eusing Utilities can diagnose and optimize your computer. It can view and manage running processes, services and drivers, BHO, windows startup etc. It also can remove junk and unnecessary files, clean the registry, scan and remove potential threats. We also offer the most portable version for installing on USB thumb drives. They are Eusing Cleaner, CD to MP3 Freeware, Free Internet Window Washer, Eusing Free Registry Cleaner, Free IP Scanner, Free IP Switcher, Auto Window Manager, Free WMA MP3 Converter, Free Registry Defrag, Free Video Converter, Free MP3 Cutter etc. Visit the 'Download' page to download them. The Portable version comes as a ZIP file. Since it's a portable application, it requires no installation but runs when it's clicked.